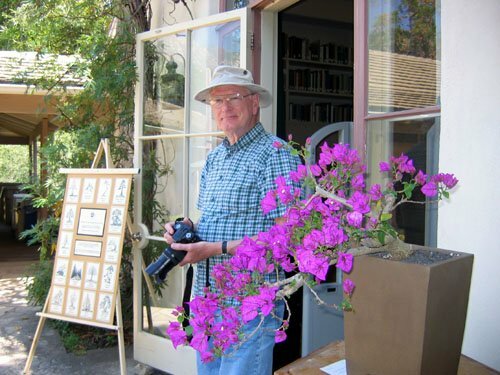 Travis Goldstein, the owner of California Bonsai Studio, 4015 N. Moorpark Rd, Thousand Oaks, 805-616-2271, will return to our club as guest presenter this month. As of this writing the topic of his presentation is still being worked out, so you’ll just have to come to the meeting and find out for yourself. The picture, taken by Daniel Martinez, shows Travis working on a juniper during his demo at our club meeting last January. Wow, the year seems to be closing quickly. Leaves are starting to fall and that is a sure sign to start preparing for fall/winter care. I usually shift my fertilizing, especially for deciduous and flowering trees, to a 0-10-10 fertilizer. For your deciduous trees, it is a great time for observing your branch structure and wiring to improve the structure if necessary. At our September board meeting, our discussions were primarily covering board member changes for the coming year and our Saturday workshop sessions. My term is up at the end of December, so we are in the process of finding other members to serve on the board. Our numbers in each of the Saturday workshops have decreased over time, so the board has decided to offer only the 3rd Saturday session starting in January. Both sessions will continue as usual for the rest of this year. We understand that some feel that they are still beginners, but we will have long time members available at those sessions to work with those who need assistance with the basics. We usually try to keep the numbers at a maximum of eight for each session, but we can exceed that number if you are a current member and have a working knowledge of the basics. As these changes will begin in January, please get your requests to Wally, wykuni@cox.net, early so that he can fill the spaces available. I would like to express my special thanks to Ann Erb for all of the expertise and dedication she has offered with our 2nd Saturday sessions. She has provided the club with an invaluable service. 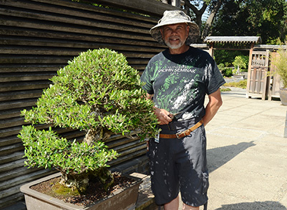 Ted made creating interesting and beautiful shohin bonsai (under 8 inches tall) and mame bonsai (3 to 6 inches tall, measured from the soil level) look easy, but then Ted makes everything look easy. Dwarf South African Fig, Ficus burtt-davyi ‘nana’, is especially good for these bean-size trees. Prune heavily as needed, and then trim continuously, as Ted is doing in the picture. They don’t mind being a bit on the dry side, but feed heavily. Think small! Look at the first inch of trunk when looking for material because you want good branching in that first inch or so. Some other good species are Chinese elm, dwarf privet, and dwarf crape myrtle. One surprise was Ted’s treatment of junipers for creating a fat trunk with low branches. He lets the branches grow in a “lion tail” as he calls it, as shown at right, and when he gets new branches near the base, he removes all but those low-growing branches of his new shohin or mame. Our Constitution says we should nominate new officers for the coming year in October and vote on them in November. (Appropriately enough, our November meeting falls on election day this year.) Tom Post has done an excellent job as President but he is being term-limited (if that’s a real word) out of office, so we are looking for someone to fill his shoes. Is anyone willing to volunteer for Mr. Post’s post? If not, please be aware that any member who is absent in October is subject to being drafted. At least that’s how I think our Constitution reads. Saturday Workshops Need More Participants! As Tom mentioned in his message above, we are in danger of losing Ann Erb’s second-Saturday workshops. November 12 will be Ann’s last class unless there is a groundswell – very very soon – of serious interest in continuing the classes. Attendance has been down at the 3rd Saturday workshops as well. Both sets of workshops have been genuine bargains – we have been the beneficiaries right here at home of the best bonsai masters you can find anywhere at prices far lower than you would have to pay anywhere else. Please seriously consider signing up for the workshops. Don’t feel that you aren’t advanced enough just because you haven’t been growing trees for years and years; as Tom said, you can count on extra attention from long-time members who will be there just for that purpose. Participants do have to supply their own trees and have at least basic bonsai tools and supplies. Don’t think you can afford the whole semester of classes or you know you cannot attend all dates or you have other concerns? 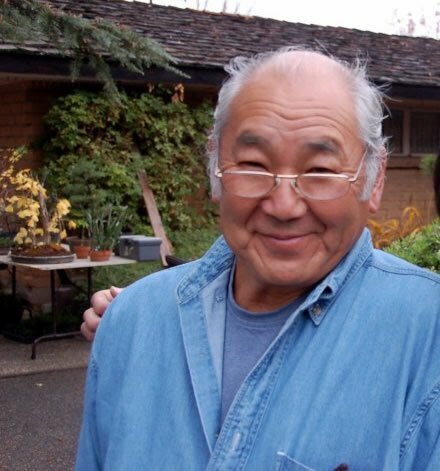 You can more likely than not be accommodated if Wally Kunimoto knows your needs. Let Wally or Tom know soon that you want to participate. Tom: 934-2717, tompostart@yahoo.com . 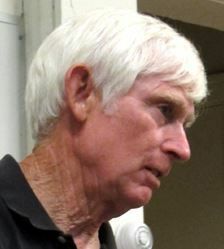 Wally: 967-2565, wykuni@cox.net . We’d like the 2017 series of workshops to be full and it would really be nice if we were to have enough people sign up for Ann’s workshop that we can continue to offer it. 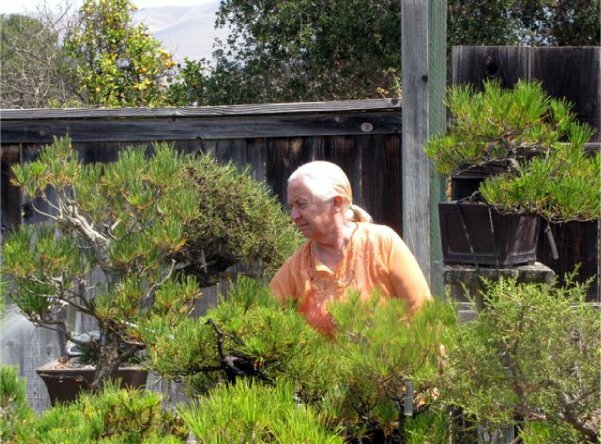 Saturdays and Sundays, two weekends, 10 a.m.–4 p.m. Bonsai master Ted Matson leads an intensive four-session gakko, or school, in the art of bonsai. 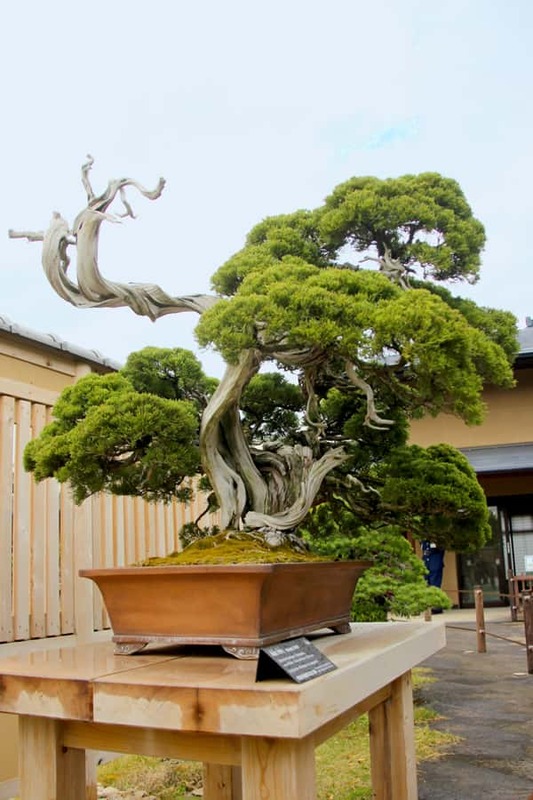 Geared to beginners, the sessions explore the history of bonsai, basic tree botany and horticultural challenges, design concepts and training techniques, and bonsai display. All supplies and tools are provided, including demonstration trees for classroom practice. Huntington Members: $120, Non-Members: $135. Register online or visit http://www.huntington.org/WebAssets/Templates/calendardetail.aspx?id=20287 . 9:30 AM until 12:30 PM, Room 8, Goleta Valley Community Center. November 12, unfortunately, may be the last of this series of workshops. See the notice above. El Presidio de Santa Bárbara State Historic Park, 123 East Canon Perdido Street, Santa Barbara. Our club has been invited to participate once again and we will have a small display of bonsai. It’s free, everyone is welcome to attend. Someone from the club will be there all day. Discussion of club members’ trees by fellow club members.